Jen is a diversity trained Georgia Licensed Massage Therapist & Reiki Master Teacher who holds numerous certifications in Eastern & Western healing modalities. She honors ancient traditions of the healing arts along with the power of ceremony while respecting her own inner wisdom as a modern medicine woman. She combines all of her professional training together to create a unique holistic approach while encouraging her clients to live a vibrant, uninhibited magical life. Her practice supports healing processes while balancing the physical, emotional, and energetic bodies. Sessions may include working through old beliefs, core issues, generational patterns, and suppressed emotions. 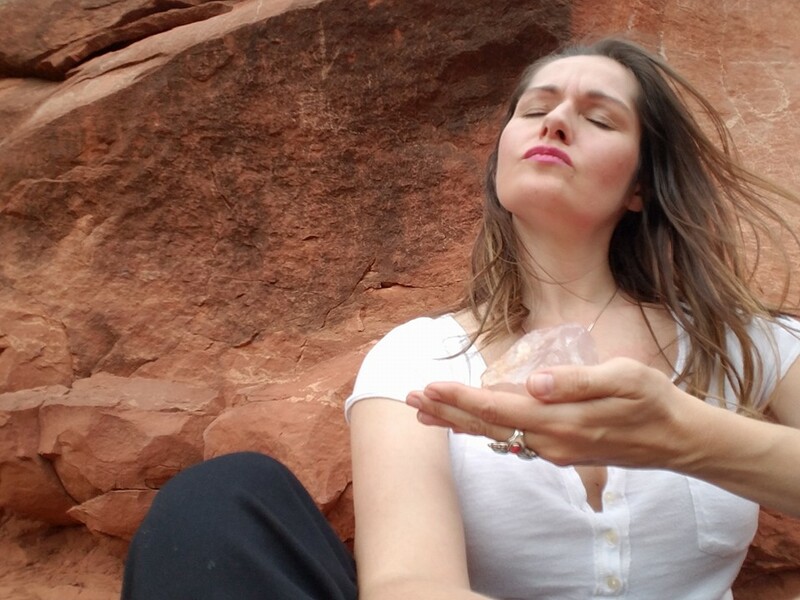 Jen is a highly intuitive Shamanic Priestess”KatFyre” and known as a powerful “path changer” activating change and transformation in the clients that seek her services. Complimentary 15-minute phone consultation available for new clients. Private sessions are available in Lawrenceville & Stone Mountain. Jen is available internationally via telephone & Zoom sessions for several of her offerings. Jen has an incredible gift! I booked my first session last month, not really knowing what to expect, so I just went in with an open mind. I left with a new awareness, feeling refreshed and ready for what may lie ahead of me on my journey. Over the coming weeks, it was as if the flood gates opened and ideas started flowing. I feel like I am on my true path now. I cannot explain what she does, but I can tell you that I am eternally grateful that our paths have crossed and intertwined, if only for this season. Thank you, Jen @GypsyMoonInc!! I honestly didn't know what I was getting into when I met this tiny powerhouse. She is fierce and beautiful and larger than life. And her work...well, it is nothing short of magical! You don’t buy products and services, you invest in people; and Jen is a breath of fresh air in a space not always easy to navigate. Jen is the perfect guide and translator for the esoteric and therapeutic space bringing clarity and results to what’s behind the veil and understanding the grey matter of what written between the lines of life. No one needs 911 or 411 everyday, but when you do, you’re glad you know the number. Be smart, save Jen’s number! Jen came to me at my time of need. She helped me through one of the hardest times of my life and I felt defeated! It was suppose to be a time of happiness, which it was, until I was told something nobody wants to hear.... In September of 2016, I was 6 months pregnant and I was diagnosed with stage 3 invasive breast cancer. Not only that, I was also dealing with a legal issue along with some serious relationship problems. My heart and kind were playing a pretty tough game of tug-of-war. I have had tarot card readings done in my past, but NEVER have I experienced anything like what Jen had done for me! Her intuition, integrity and skills are amazing!! I live in Florida, so we did all of our communicating over the phone. When Jen sent me my Angel card reading I was filled with sooooo many emotions and questions. She gave alot of information, but got straight to the point, as well as taking her time and explaining when I had any questions. When worry came over me, she helped me through it. Jen introduced me to my Guardian Angels- helping me realize that no matter how alone I felt, I am actually never alone, they are always there for me to talk to. Jen has helped me accept that my past is my past and I need to stop tormenting myself over it. Hand it all over- yes, i still struggle with that to this day- but i always go back to what Jen had told me. Jen has sooooo much compassion and it shows in her work. I will always happily recommend her to every and anyone. I contacted Jen because I had given up on finding my birth Mom and I was very frustrated. She did a reading for me and told me not to give up. She also told me that everything I was told in my life about her was untrue. I went looking for my Mother again and I found her almost immediately and I learned that everything that Jen told me in my reading was true! I finally have closure and the love from my Mother that I had always been missing. I will always be grateful to Jen for this gift. I really enjoyed taking Jen's dance classes. She has amazing movement and range. She's incredibly thorough and knowledgeable! I learned a lot and always looked forward to being perfectly corrected in her class. Jenn is absolutely amazing she has help both my daughter and I so much. She is truly a professional and I am so glad that the universe put her in my family's life. I highly recommend her to anyone . You will not be disappointed. The moment you walk into her scared space you feel peace and love. My world is better with her in it and I guarantee yours will be too.